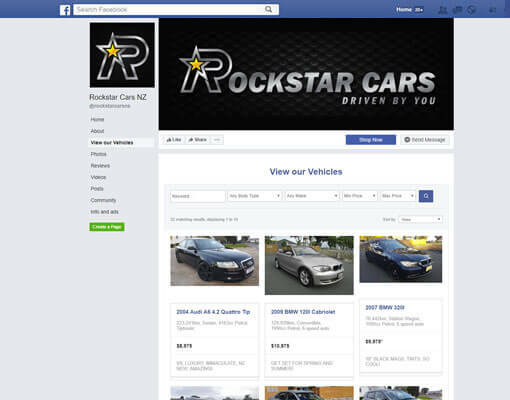 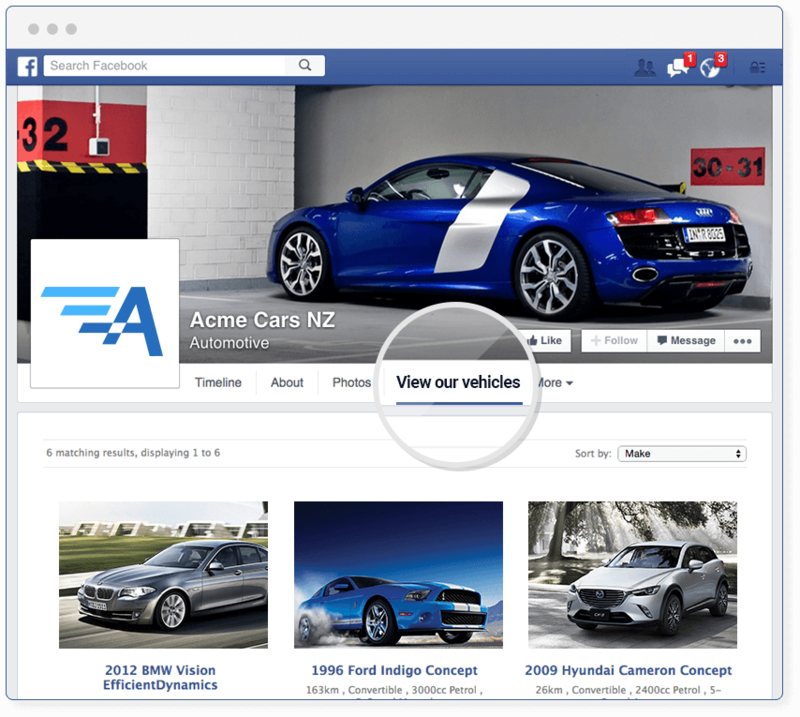 New Zealand has one of the highest subscription rates to Facebook per capita and many vehicle dealers have already begun to use Facebook as a quick and efficient way to interact directly with their valued customers. 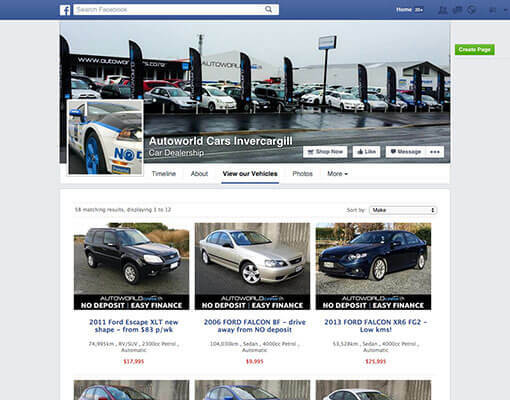 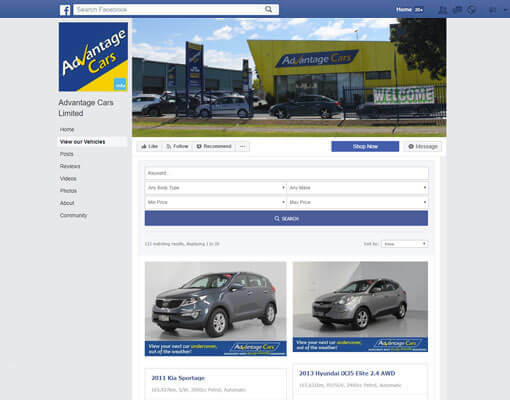 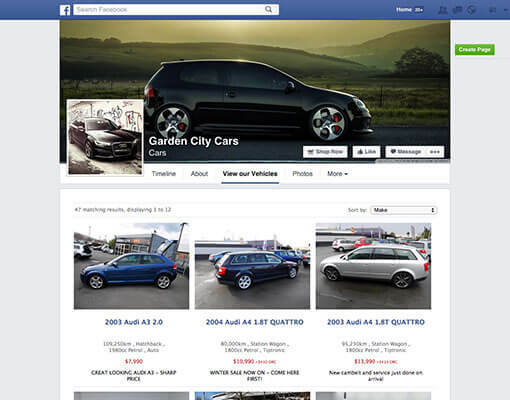 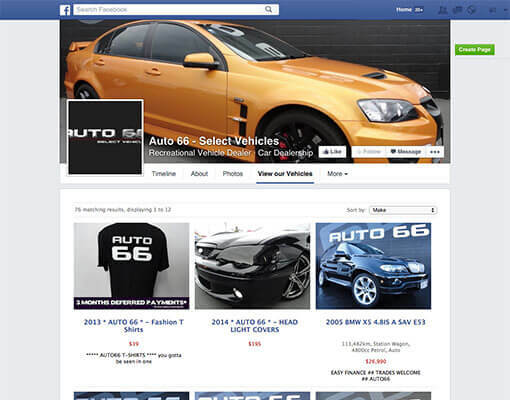 Our Facebook plug-in* will automatically list your vehicles on a separate tab within your Facebook page, allowing your customers to conveniently view your current stock without having to leave Facebook. 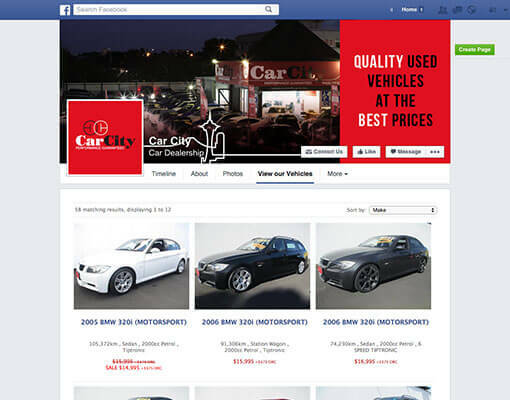 If a viewer shows interest in a particular vehicle they can click on it, which will redirect them back to your website for more information on that vehicle.